Kids and cookies…it’s a good thing, especially these cookies that they can decorate themselves. There are candy piece, licorise bow ties and chocolate chips to dress up their little man. 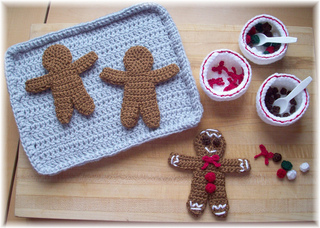 All you need to do is add a hanger and the gingerbread man would be ready to hang on your Christmas tree.